Vampire Weekend Releases Most Upper West Side Music Video of All TimeJerry Seinfeld stars, Jonah Hill directs. Louis C.K. Drops Hard R N-Words in Old ClipIronically, Seinfeld is the only PC comic at the table. Brian Regan Enters the Sketch-Comedy Game in this Trailer for His Netflix SeriesStand Up and Away! debuts on Christmas Eve. Netflix Adds Sketch-Comedy Show From Brian Regan and Jerry SeinfeldStand Up and Away! will debut on Christmas Eve. Seinfeld Gets Another Beacon Residency, Will Never Leave the Upper West SideYou can pick something up at Fairway after the show. Seinfeld Somehow Talks Nanette, Louis C.K., Roseanne, Cosby All in One InterviewHe loves Nanette! Gwyneth Paltrow Is Probably Married Right NowSo you have three months from tonight to get her a gift. Looking Back at Jerry Seinfeld: Comedian (Without the Cars and Coffee)Revisiting the 2002 documentary featuring Seinfeld and Orny Adams. Every Episode of Comedians in Cars Getting Coffee, RankedFrom the series that lets Jerry Seinfeld take his friends on drives in slick cars, we ranked which ones top the charts and which ones fall flat. 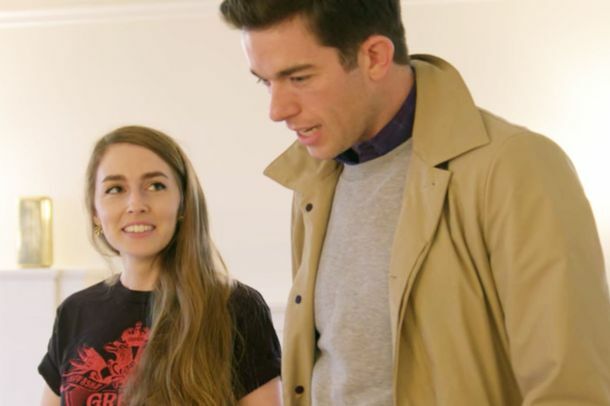 The Funniest Moment From the New Season of Comedians in Cars Getting CoffeeHow Annamarie Tendler won John Mulaney’s episode with a look. The Most Enlightening Quotes From Comedians in Cars Getting Coffee Season 10From Alec Baldwin’s tactless #MeToo joke to Ellen DeGeneres’s reflections on coming out. Comedians in Cars Getting Coffee May Not Be Made for These TimesJerry Seinfeld brings his talk show to Netflix, but it feels out of sync with the cultural moment. Between Two Ferns Makes Its Glorious Return With Jerry Seinfeld and Cardi BAlso Wayne Knight! Kate McKinnon, Dave Chappelle and More to Appear on Comedians in Cars Next MonthHere are the 12 comedians who get to ride around in fancy cars with Seinfeld next month. A Complete History of Bee Movie’s Many, Many MemesTen years ago today, Bee Movie, the film that launched a thousand memes, was born. 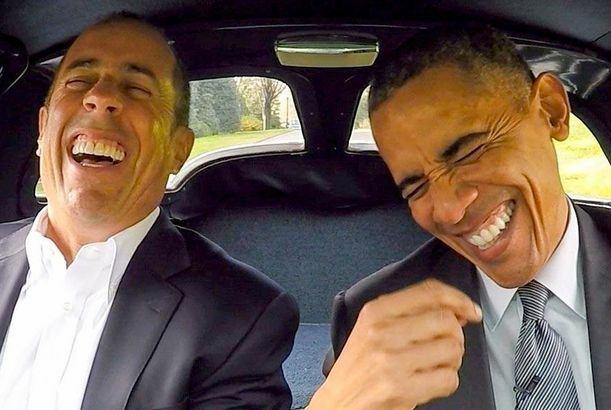 Jerry Seinfeld: Driving a Corvette With Obama Is ‘Greatest Moment’ of My LifeBut Donald Trump shouldn’t expect a ride. 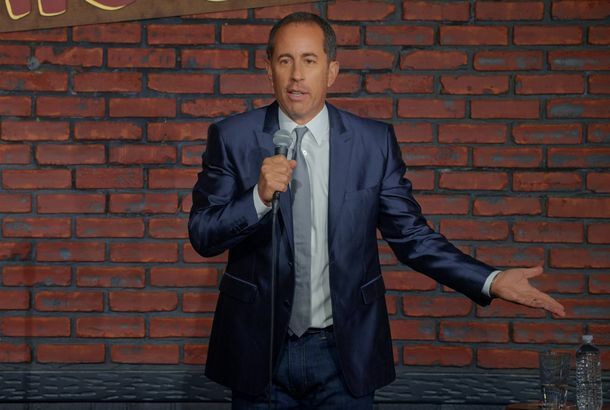 The Best Joke From Jerry Seinfeld’s Netflix SpecialNo one writes jokes like Jerry Seinfeld. Here he is at his best. Jerry Before Seinfeld Is a Carefully Curated Origin StoryIt’s the Disneyland version of Seinfeld’s early years. 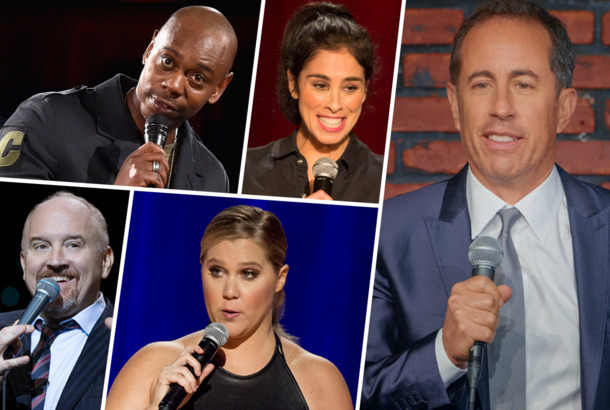 Is Netflix Hurting Stand-up?This year, Netflix has asserted complete stand-up dominance. Is this a good thing? Do You Get the Joke Jerry Seinfeld Promises Norm Macdonald He Won’t Get?It’s a joke Seinfeld has determined to be “the greatest Jew joke” he’s ever heard. Jerry Seinfeld Might Not Have Deemed Kesha Huggable, But at Least Bob Dylan DidA true consolation prize. Jerry Seinfeld’s Reason for Not Hugging Kesha Is As Seinfeldian As You’d ExpectJerry Seinfeld may have denied Kesha a hug, but he’s not totally in the wrong. Jerry Seinfeld Dodging a Hug Attempt From Kesha Is Peak Cringe ComedySeveral hug attempts, to be exact. Jerry Seinfeld Likes Jokes About the Seinfeld Finale (If They’re Funny)A very special bonus episode of Good One. Jerry Seinfeld Is the Reason Hugh Jackman Gave Up WolverineJust some wise counsel from a good friend. Jerry Seinfeld Lands in Hot Water Over Bozo Black Lives Matter TweetHe could not resist the pun. Jerry Seinfeld Signs Netflix Development Deal Comedians In Cars Getting Coffee will move from Crackle to Netflix this year. C.K. and More to Perform at Stand Up for Heroes An evening of comedy madness. Seinfeld Spoofs Comedians in CarsWith a special guest appearance from Neil deGrasse Tyson. Jiminy Glick Doesn’t Get Jerry Seinfeld’s FameWhat’s the deal with all that success? Jerry Seinfeld Will Not Sully the Legacy of Bee Movie With a SequelUn-bee-lievable. See the Comedians in Cars Getting Coffee TrailerJohn Oliver, Jim Gaffigan, and J.B. Smoove, too! Seinfeld to Share N.J. Stage With Margaret ChoThe comedian will moderate a discussion between Cho and unhappy audience members.